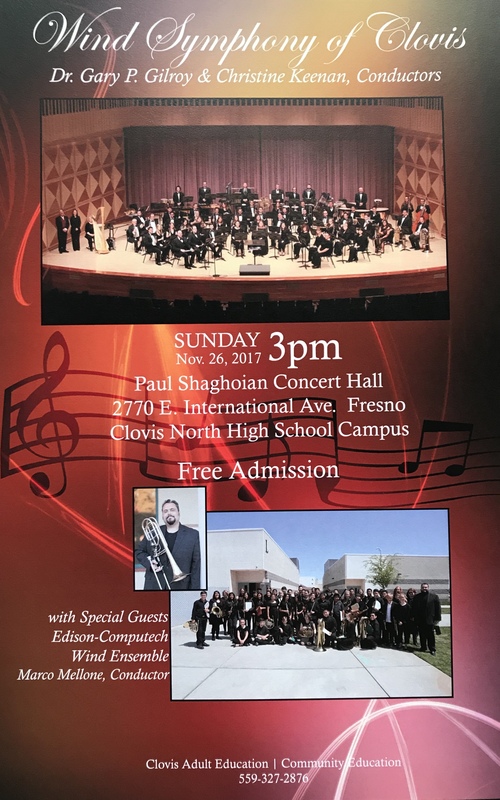 I wanted to make you aware of an awesome concert by the Wind Symphony of Clovis, that I will be performing in coming up at the end of the Thanksgiving break. The group is made up of professional level musicians and we are playing some great exciting music. Students in Symphonic band, Woodwinds class, and Brass class have a concert report assignment that they could completed if they attend this concerts. 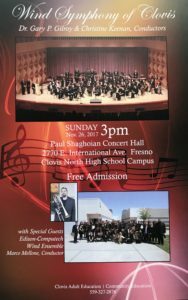 The concert is FREE! Location is at Clovis North in the Performing Arts Center. See attached flyer for all the details.